FROM churches to castles, terraces to tram stations, mills to markets and schools to stables; the Built Heritage at Risk register contains every conceivable type of structure on our landscape. Over the years there have been dozens of success stories, where crumbling eyesores have been sensitively restored, preserving their past while offering a sustainable future. 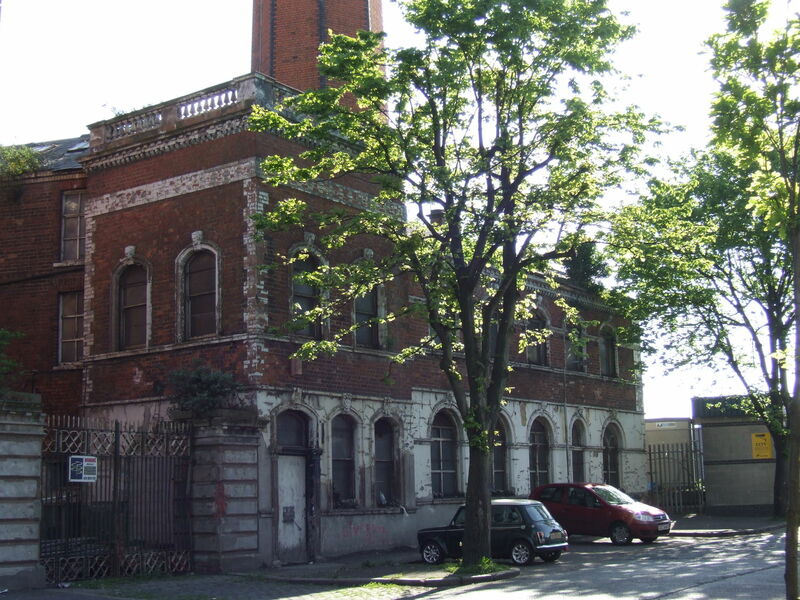 In addition to the near 500 buildings that are still at risk, the current Built Heritage at Risk (BHARNI) database contains details of 185 restored structures, including diverse landmarks such as Belfast’s Crescent Arts Centre, Ross Monument in Rostrevor, Sion Stables in Sion Mills and the iconic red brick terrace of east Belfast’s McMaster Street. Other buildings on the list are also likely to enjoy a brighter future; such as Drumbee school in Armagh and Ardglass bathhouse which have undergone restoration works. The future also looks brighter for other BHARNI buildings such as the recently purchased Bank of Ireland on Belfast’s Royal Avenue, the former Methodist Church on University Road in Belfast and Killeavy Castle – although conservationists have objected to elements of the plan to convert the south Armagh castle into a spa hotel. But hundreds remain on the list, with more added every year, meaning continued investment is essential if some of the gems below, which are listed as ‘critical’, are to be brought back to life. In addition to those sites classified as Buildings at Risk, more than 650 buildings have lost their official listing over the past 20 years, leaving them more vulnerable to redevelopment. Below are a sample of some of the diverse structures that are at risk, have been restored or have been delisted. Sadly, BHARNI records the now faded glory. “Much of the detail that once imbued these cottages with such charm, has been lost, despite the buildings featuring several times in the Buildings at Risk catalogues. Since that time their condition has worsened.” Indeed, current inspection reveals the cottages to be barely visible behind plant growth. 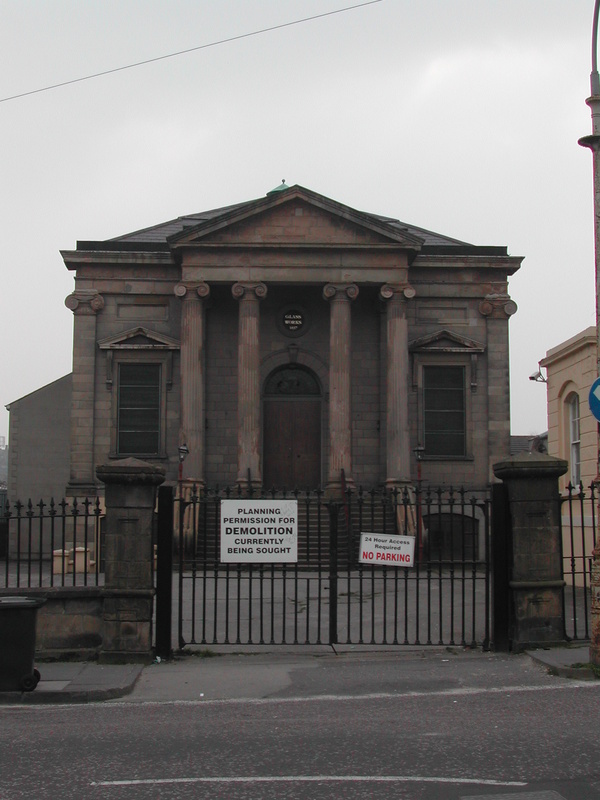 One of two Presbyterian churches in the city to feature on the BHARNI list (Strand Road being the other), the striking Great James St premises is the one deemed to be at most risk. Although still listed on the BHARNI register, the building has been the subject of a major refurbishment project, which began in 2011. The scheme, which has seen the building transformed by Enable NI to provide respite accommodation for individuals with learning difficulties, was completed in 2014. According to the project's architect Paul McAlister, "The building was in a very poor state of repair and close to collapse when work began in 2011. We were able to bring it back to the original detail whilst working closely with NIEA to ensure that the detail of the new building was in keeping with their funding criteria." Electricity producing windmills may now be scattered throughout the countryside, but the wind has long been harnessed for its power. 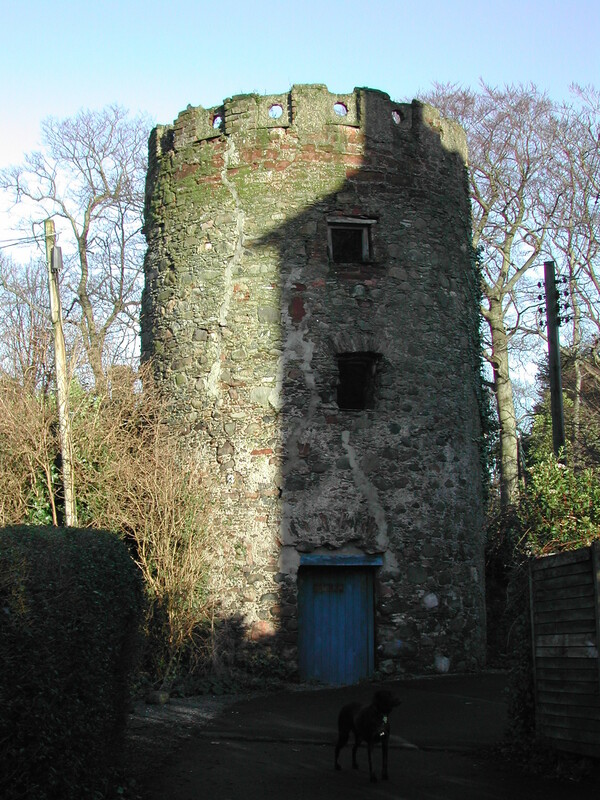 Dating from at least the 1830s, BHARNI describes the windmill as: “a roofless shell, surrounded by houses in the 1850s, soon after it had been abandoned”. 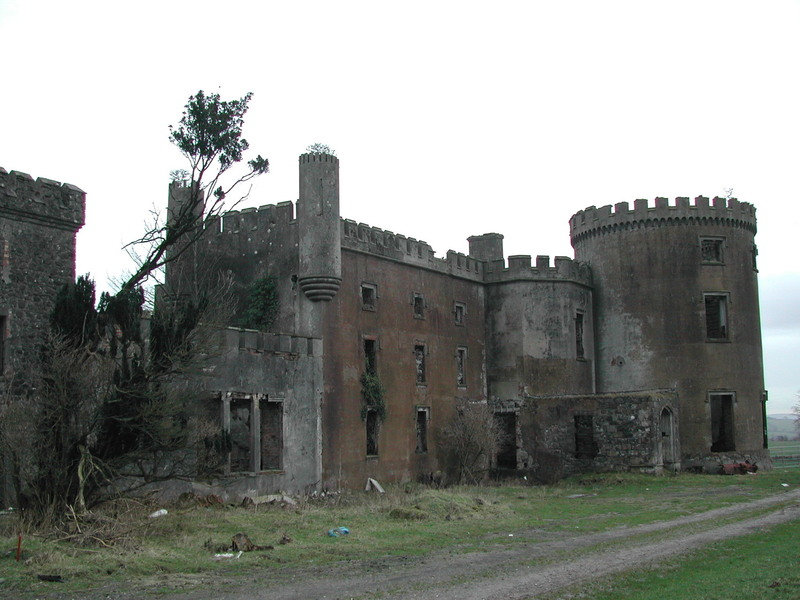 The register also states, in an entry dated November 2003, that “It had only just been saved from collapse by the local council”. As such, this will be viewed as a positive move, given local government’s increased role in the planning and enforcement process. An imposing structure that many motorists travelling north on the M2 will be familiar with, Jennymount Mill was the work of, among others, John Lanyon and WJW Roome. According to BHARNI it is a “seven-storey red-brick Italianate tower block...It was not as a result of its condition that it was highlighted, but rather because of the difficulties associated with letting such a large amount of space in a deprived part of the city; which remains the case today”. 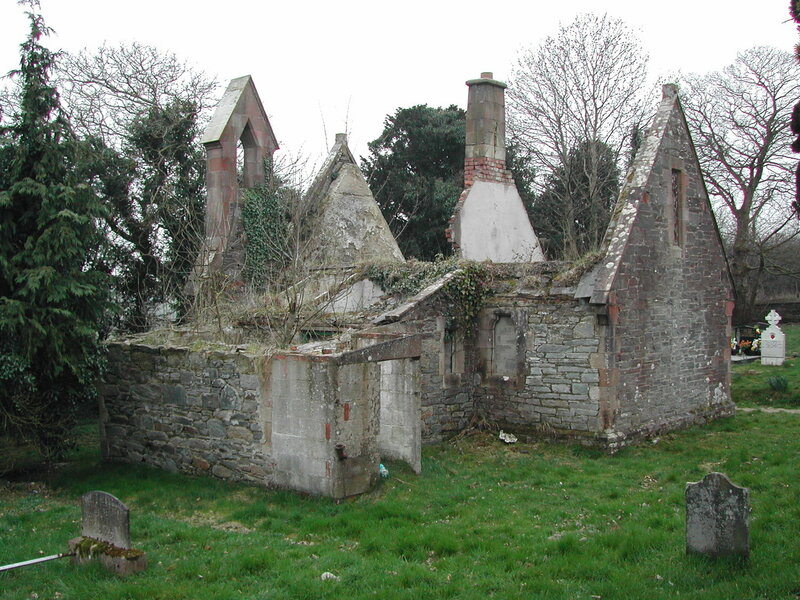 Just yards from the Donegal border on the main Letterkenny Road lies the shell of Truscot Lodge at the entrance to an ancient graveyard. According to BHARNI it is “In an extremely poor condition, the rapidity of its decline is remarkable. Built for the Irish Society in 1866 to house the caretaker of the graveyard, it is a simple stone-built building with a steeply-pitched roof (now gone) and a bell cote over the entrance door on the gable elevation facing the entrance gates”. Given its location, on the Malone Road near Queen’s University, the continued vacancy at Lennoxvale is somewhat perplexing. According to BHARNI, the university’s former school of Psychology dates from the 1920s in the style of its neighbouring buildings. 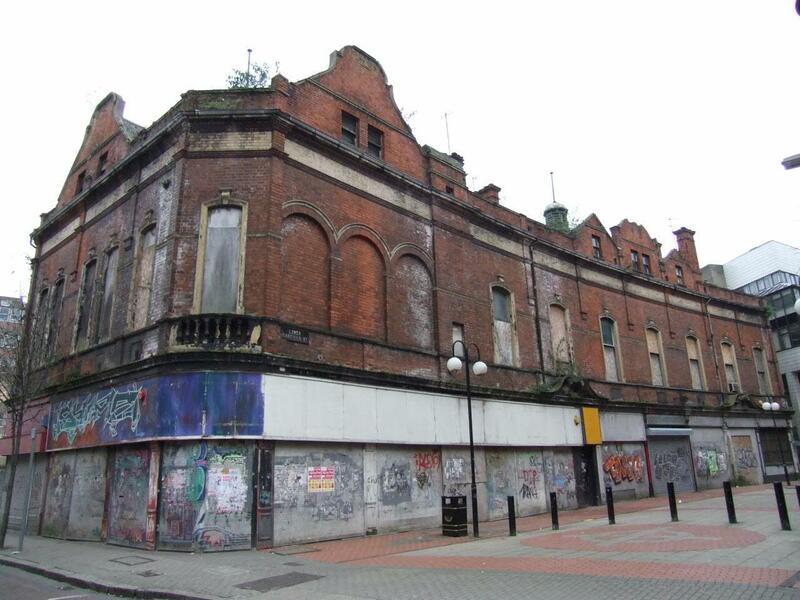 The most recent application, to convert and extend the building into five student apartments was refused by Belfast City Council at its October 2015 planning committee meeting. Mount Panther is a familiar sight for motorists making their way to the south Down coast. According to BHARNI, the building’s “state of utter dereliction poses a significant headache for its future reuse”. Both the age and scale of the building are impressive with BHARNI stating that it dates from “c 1770, it is an eleven-bay, three-storey edifice with basement in modified Palladian style. 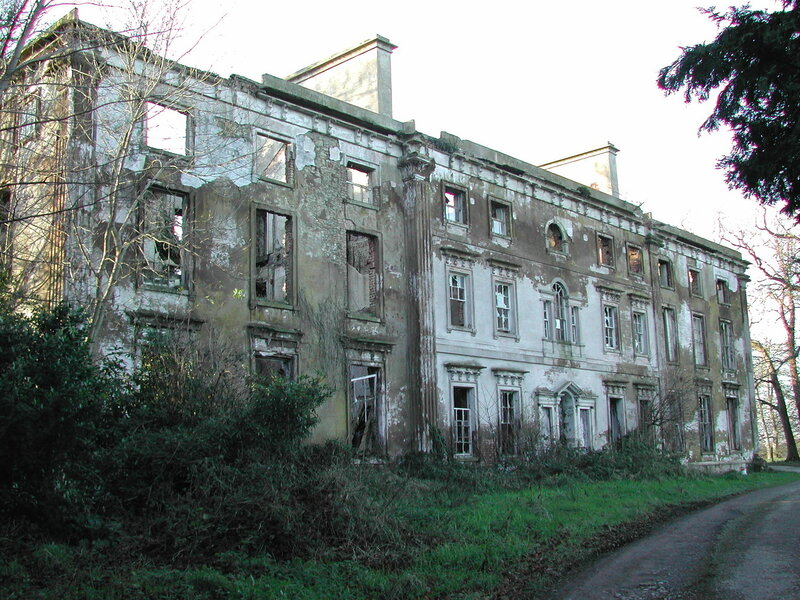 Once famous for its ballroom which contained exceptional rococo plasterwork, the entire interior is now in ruins, along with the substantial two-storey stable yard to the rear”. Located in Castle Place in the centre of Tyrone’s largest town, BHARNI states that the Tread Wheel is “a third surviving building, contemporary with the Gaol...that was used to raise water to the building from a deep well adjacent to it and it is presumed that it was used for the punishment of recalcitrant prisoners”. Its condition is recorded as being “extremely poor” and that “urgent action should be taken to preserve it. To date, no such action appears to have been taken and its long-term future remains in some doubt”. The only building in Northern Ireland to ever have been the subject of compulsory purchase on account of its deteriorating condition, the stables has now been completely restored and reopened, operating as a heritage centre and cafe – having previously been placed at ‘critical’ risk. Designed by William Unsworth in 1884, the structure had fallen into such a poor state that by 2008 its clock tower had collapsed. Having been the subject of a DoE compulsory purchase, Hearth and the Sion Mils Buildings Preservation Trust took on the restoration project. To see the finished building in our video, click here. 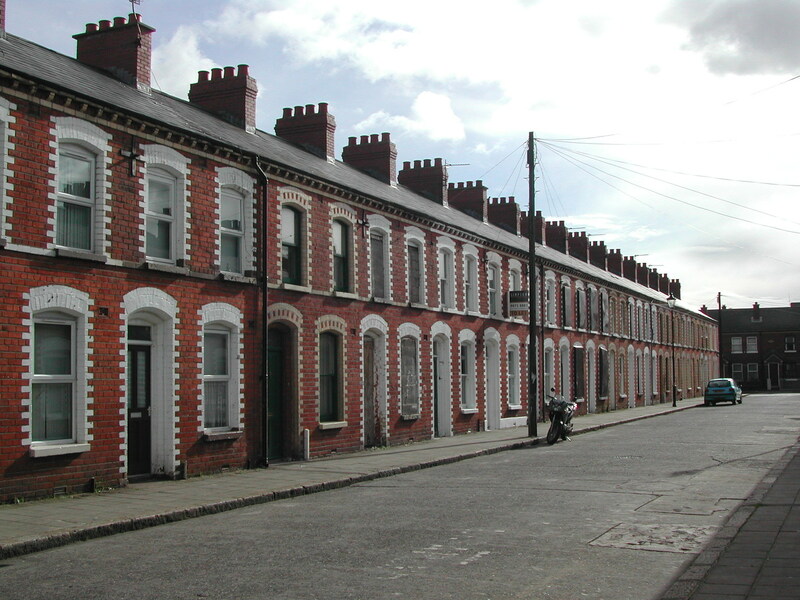 BHARNI states that McMaster St in east Belfast represents “the most complete group of terraced workers’ dwellings from late Victorian times”. Listed in the early 1990s, the buildings had fallen into a poor state of repair (high risk) by the time Hearth Housing began acquiring them in 2000. A good example of how old buildings can be restored and adapted for modern usage. For example, two of the houses were combined into one to create a larger home, whilst modern insulation was also introduced to improve energy efficiency. No 40 on the street also appears on the fire damage list, the DoE recorded this 2013 fire but not the cause of it. 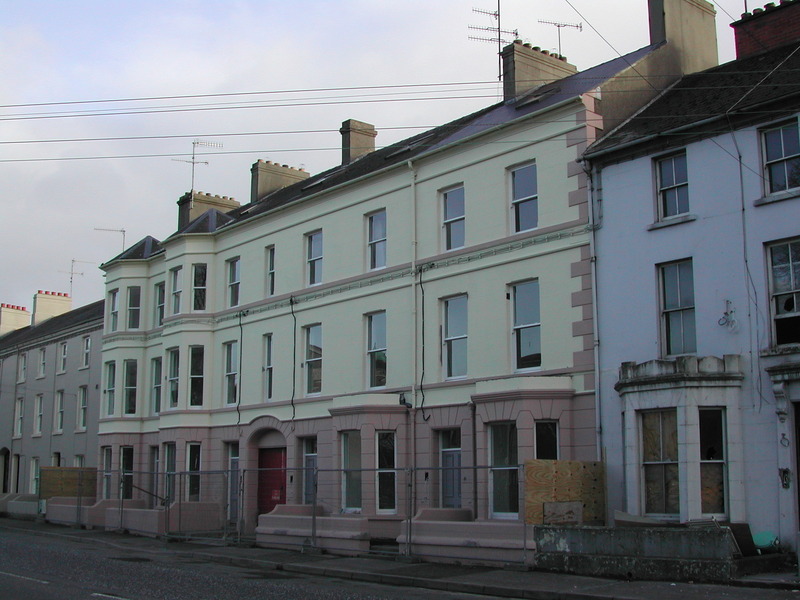 Previously holding B1 listings, large sections of Newry’s historic Sandys Street were delisted in 2005/2006. 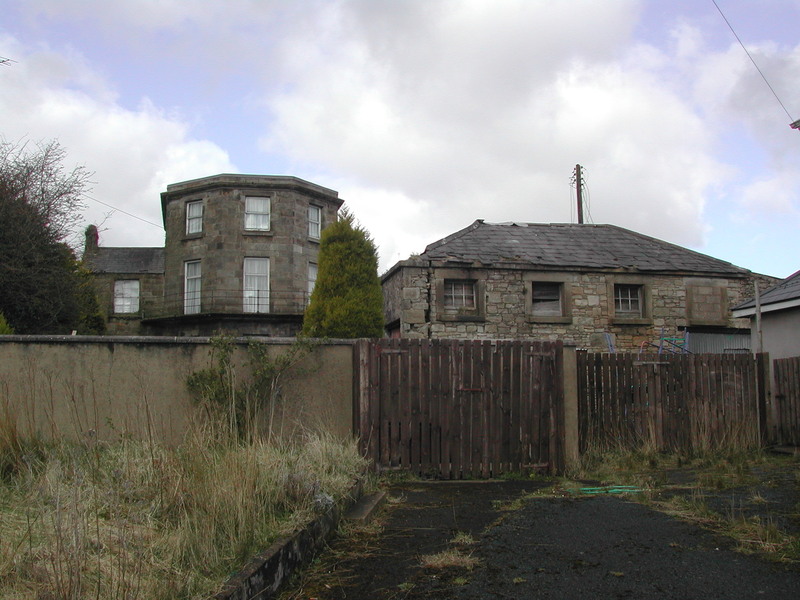 The large terrace buildings, which sweep down the sloping Rathfriland Road towards the city’s courthouse, date from different stages of the 1800s. Located just off Belfast’s main thoroughfare, BHARNI states that the 1896 Graeme Watt & Tulloch creation is a “two-storey building in red brick with stucco details to tall narrow windows and truncated gables; chamfered corner onto Lower Garfield Street. 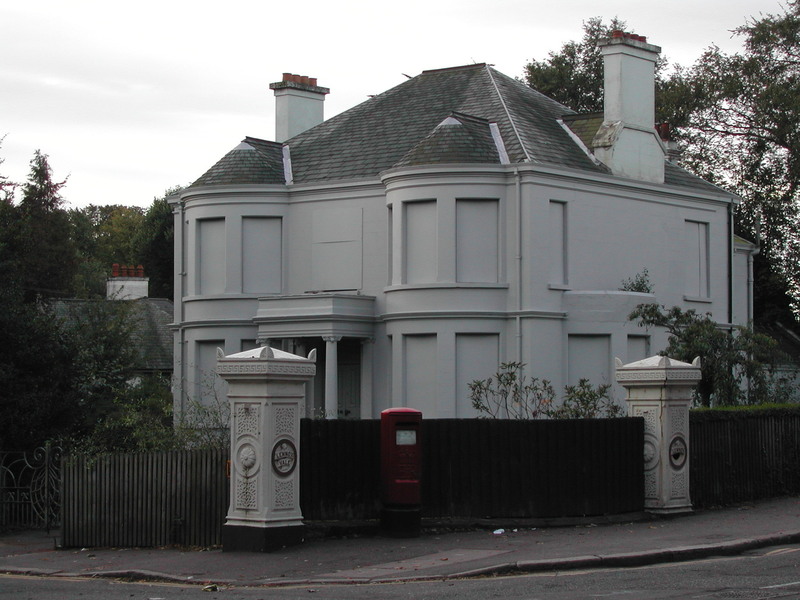 Two small octagonal roof lanterns and a variety of corbelled brick chimneys; side elevation curves round following street line, with a central broken pediment flanked by gabled dormers, and scrolled pediments over two shop front”. It is also stated that the building is: “The subject of a major development proposal which will critically affect its immediate future”. Belfast City Council is understood to be preparing a strategic development scheme for the area in January 2016.